The US dollar was higher across the board versus major pairs. 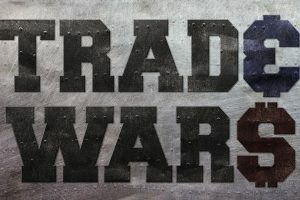 US and Chinese officials kicked off a new round of talks to avoid increasing tariffs on March 1. Despite hopeful comments from both sides there has been little of substance that markets can digest as trade representative Robert Lightizer and Treasury Secretary Mnuchin will visit Beijing this week. Even if there is no grand agreement, a reduced tariff percentage could be a temporary solution as the two nations remain far apart in key issues. Sterling fell 0.58 percent as monthly GDP came in lower than expected with a loss of 0.4 percent and manufacturing production shrank 0.7 percent. Brexit remains a major factor as Prime Minister May still has to convince the EU to accept the amendments that were so contested in the UK. The EU said that there would be no changes to the agreement she already had, but as the March 29 deadline approaches some concessions will have to be made from both sides to avoid a hard Brexit. Oil prices pared losses from earlier in the session, but crude remain under pressure as the US-China talks get underway with some tension on the South China seas stealing some of the thunder. Last week US President Donald Trump said that he won’t meet his Chinese counterpart ahead of the March 1 deadline. Washington will remain a source of uncertainty as later this week the government shutdown will have to be addressed. The trade war between the two largest economies has impacted global growth expectations. Until there is a positive breakthrough energy prices will keep dropping. There have been positive comments from both sides, but until there are details ahead of the deadline to avoid increasing tariffs energy demand forecasts have more room to the downside. Venezuela remains a factor as US sanctions have made heavier grades more expensive as US refiners look to purchase alternatives in the short term. Gold was flat on Monday as the US dollar got its mojo back and advanced on trade uncertainty as US negotiators travelled to Beijing. The greenback has shaken off some of the dovish pressure from the Fed and has now gained for 8 straight days. Optimism for a US-China deal was offset by rising concerns that the Democrats and Republicans won’t find a compromise ahead of Friday’s deadline to avoid another government shutdown. The dollar was also higher as European data revealed further signs of an economic slowdown. Brexit headlines combined with a disappointing British GDP and manufacturing as sterling dropped 0.58 percent. Global stocks were mixed as investors returned from Lunar Year celebrations putting Chinese stocks higher. The US-China trade talks made it difficult for equities to end in positive territory and companies that had strong earnings were balanced out with tech firms who are struggling. Activision fell in anticipation of layoff reports as the company is said to focus on more mobile games. Recession fears have been pushed to the background after the Fed announced it would pause its tightening of monetary policy, but investors remain anxious after the drop in December. Uncertainty in Washington as the trade talks reassume and a middle ground remains elusive on border security with Democrats could have a negative impact on indices with the dollar the de facto safe haven.